Some great new styles for Easter and Spring is from Tahari Arthur S. Levine which makes classic pieces with quality craftsmanship and consistent sizing to make them unique. 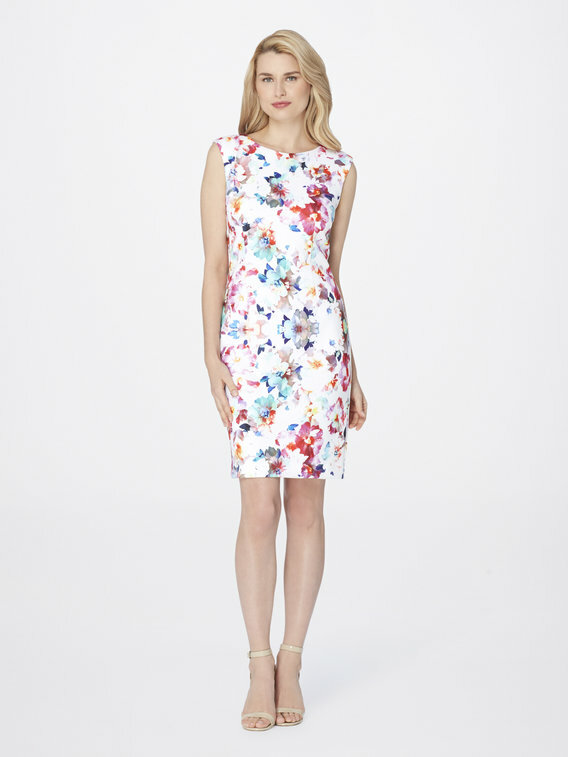 Pastel Floral Scuba Sheath (retails for $139) has sunny blossoms to create the spring-fresh palette for this’s lemon, sleeveless sheath. Designed in a scuba knit fabric that holds color beautifully and has just the right amount of stretch for amazing fit and comfort. You can find this in sizes 2-18. This has a jewel that, heading back zipper with hook and eye closure, dry clean only and imported. 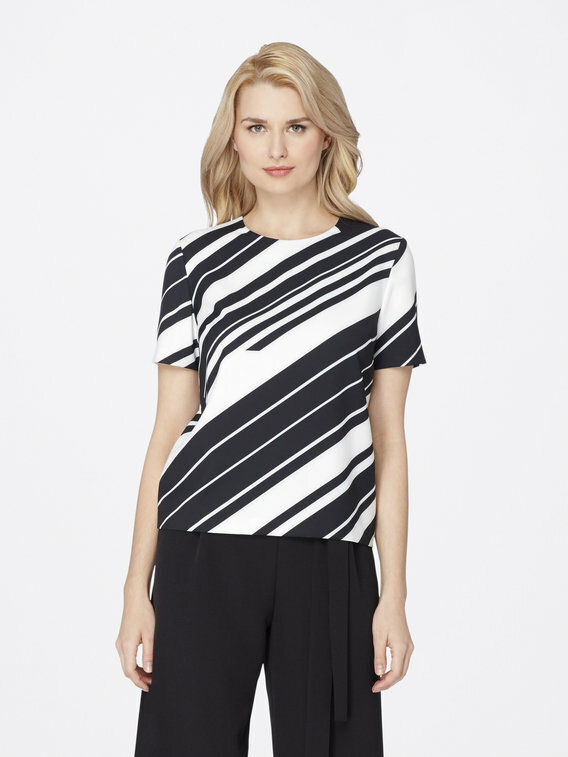 Diagonally Striped Twill Blouse (which retails for $59) a new slant on stripes, done here on a short-sleeved twill blouse that teams up perfectly with tailored trousers in skinny jeans. You can buy this in sizes XS-XL, this has a boat neck, heading back zipper with hook and eye closure, polyester elastane twill, dry clean only and imported. Houndstooth/ Crepe Peplum Shirt Suit (which retails for $140) suited to the season and a fresh pattern mix. Houndstooth checks and live in the short-sleeved peplum jacket, has it been to one side and paired with a solid skirt and crisp crêpe with a touch of welcome stretch. In sizes 2-18 with a notch collar, off-center front zip closure, the skirt has traditional silhouettes, heading back zipper with hook and eye closure, dry clean only and imported. Disclaimer: This is a sponsored post which I will be compensated for but I want to let you know about Tahari Arthur S. Levine as they have some great fashions and styles for year round use. I love black and white and probably wear way too much of it. I need some color in my wardrobe, especially sunny yellow.